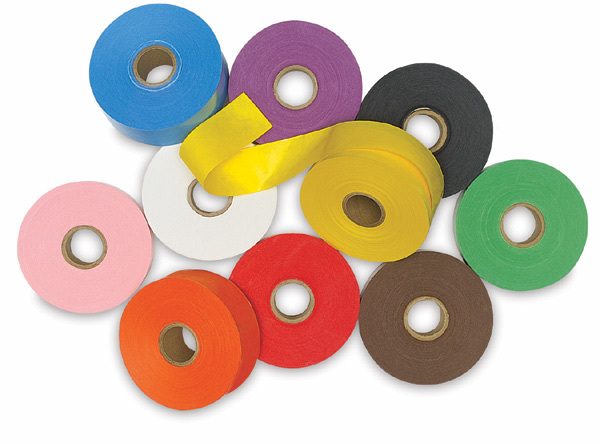 Brightly colored, 100% sulphite paper tape is gummed on the back for art projects and decorating. Just cut, moisten, and position. Rolls are 1½" wide × 250 ft long (38 mm × 76 meters). Set of 10 rolls — Ebony Black, Lemon Yellow, Emerald Green, Cocoa Brown, Grape, White, Scarlet, Cherry Pink, Blueberry and Pumpkin.